Christmas Santa Tracker: Irish Be Aware! Santas Coming to DAA! 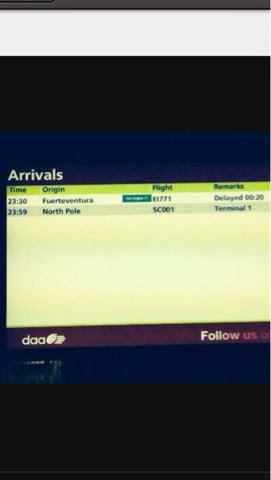 Santa is landing in Dublin Airport at 11:59 tonight!